Investigators say Leandro Meza, 76, was last seen Sunday afternoon near road 191 and Avenue 146 in Poplar. The Tulare County Sheriff's Office says Meza has been found. 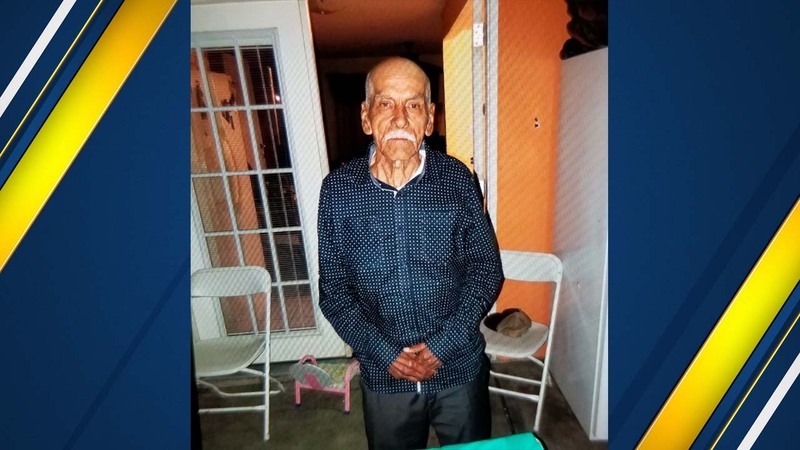 The Tulare County Sheriff's Office is asking the public for help to locate a missing elderly man with Dementia. Deputies say he was wearing a blue button up shirt with white dots, black and gray sweatshirt, gray pants and a brown hat. According to investigators, Meza has a history of wandering away confused.